Contractor Training Center offers in-class and online exam prep seminars, estimating and bidding and construction related training and application assistance for those looking to acquire general contractor licenses in one of 15 states. Richmond, VA — Contractors Institute has announced their official name change to Contractor Training Center, as well as their plans to both expand into more states throughout the country and offer a new series of training courses that focus on how to operate residential and commercial contracting businesses. Since its inception, Contractor Training Center has helped over 30,000 contractors across the country get licensed through both in-person, live webinar and online training courses. The company offers programs for 15 states, as well as for the National Association of State Contractors Licensing Agencies (NASCLA) exam and has plans to expand their content to include 38 states in total. They have a “no pass, no pay” policy. Though, as the company notes, the vast majority of students pass on their first attempt after taking classes. 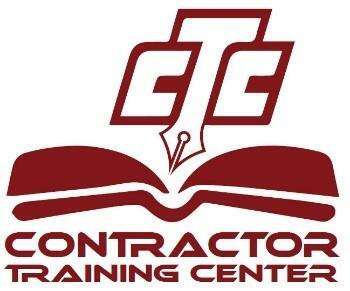 Contractor Training Center also offers a unique service to application process. Roughly 70% of first-time applications are denied, often due to clerical errors on license applications. Contractor Training Center can help guide contractors through the process to ensure the completeness of each application and supporting documentation. Furthermore, the company has begun development on a series of courses to help those who have successfully earned their general contracting license begin a business. These “how to” courses will encompass a variety of topics, including budget estimation, contract bidding, and project management. The complicated process of applying for and taking a general contracting license examination can often be nerve-wracking, even for highly qualified and experienced candidates. Contractor Training Center asserts that, at the end of the day, their company is not just about providing books and documents for examinees, but ultimately provide them with the tools for career-long success. Those looking to acquire a general contracting license, start a construction business and get training in building and construction can visit Contractor Training Center website at https://contractortrainingcenter.com/ for more information.